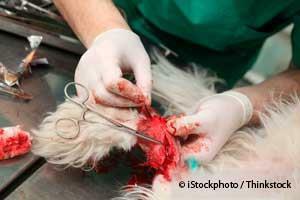 Home › Information › What If Your Cat or Dog Needs a Blood Transfusion? What If Your Cat or Dog Needs a Blood Transfusion? Both cats and dogs occasionally need blood transfusions in cases of trauma, surgery, cancer, an infectious disease, or certain other medical situations. As you might suspect, the uniqueness of kitties makes obtaining feline blood products a more complicated process than it is for dogs. Cats are different from dogs in that they must be transfused with type-specific blood, either type A, B, or AB. If a cat receives the wrong blood type, it can be life-threatening. Cats require either sedation or anesthesia for blood donation. In addition, donor kitties must be indoor only; between 1 and 8 years of age; weigh at least 10 pounds; not be on any medication; and must undergo a minimum of six different blood tests, including FeLV/FIV screening, a complete blood count, blood chemistry, blood type, mycoplasma and bartonella. Given all these requirements, many cats don’t qualify as donors. In addition, many owners are unwilling to allow their pet to undergo regular sedation or anesthesia to give blood. 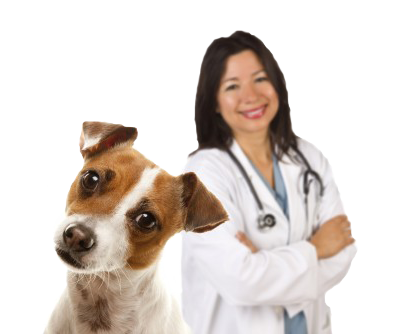 This leaves many veterinarians with limited options. Some veterinary hospitals have a kitty-on-call who is used as a donor as necessary. This situation isn’t really ideal for the cat unless he or she lives with one of the vets or a staff member and is only brought to the clinic when a blood donation is needed. In cases where the cat is a resident of the clinic, there are challenges with regard to environmental enrichment and the kitty’s future after retirement. Currently there are only about five commercial blood banks in the U.S. that supply blood for cats in need of a transfusion. One of those is Nine Lives Blood Services in Lansing, Michigan. The Nine Lives cats are sourced from animal control or local shelters. They are spayed or neutered, vaccinated and are able to pass all the required blood tests. At the Nine Lives facility, the kitties are matched with others of similar temperament and housed in large open runs. They are provided environmental enrichment in the form of drinking fountains, climbing trees, multi-level resting perches and toys. Each cat donates blood about once a month, and after 15 months as a donor, they are available for adoption. Retired donors stay at Nine Lives until an appropriate home is found. According to Jocelyn Pratt, who manages the Blue Ridge Veterinary Blood Bank in Loudoun County, Virginia, there’s an increased need for blood during summer months, when animals are more likely to be outdoors and exposed to greater risk of injury. Blue Ridge is the largest all-volunteer animal blood bank in the U.S., which means the blood it collects and ships to vet hospitals across the country comes solely from pets whose owners are willing to allow their furry companions to be donors. Temperament is also a consideration. Donor dogs should be well behaved and not aggressive. Dogs aren’t typically sedated for blood donations, however, at Blue Ridge, staff employees cuddle the dogs to help them feel comfortable. The blood is drawn from the jugular vein. If you’re interested in seeing if your own dog is a good candidate to donate blood, I recommend contacting your vet’s office to learn the location of the closest animal blood bank in your area. Some facilities, like Blue Ridge, have several locations where owners can bring their pets to donate. I did not know that animals could give blood until my dog took part in a recent surgery. Like you said, it is not very common for people to take their pets in to donate blood. I agree that it is a very strange thing to hear, however, after having my dog receive a blood transfusion I understand the dire need of donor dogs. Now that I know that dogs can save lives, I will try and educate my friends so that we can help out by having our pets donate blood when needed. Dave Anderson on What If Your Cat or Dog Needs a Blood Transfusion?